Enjoy luxury and comfort in a breathtakingly beautiful setting. Experience star-studded night skies, unique rock formations and spectacular sunsets visible from just about anywhere on the property, including the Living Room of Agave House! 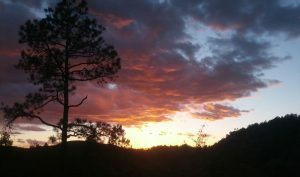 You can hike, bike, or drive to desert, forests, streams, and canyons OR stay right on the property and hike 18 acres of private trails bordering the Gila National Forest. Explore art galleries, food, and music in nearby Silver City, or journey into the quiet beauty of the Gila Wilderness and the mystery of the Gila Cliff Dwellings National Monument. Observe some of the 280 different species of birds frequenting the area and other visitors such as deer, lizards, foxes, javelinas, hawks, and more. Birders. Our area is well known in the birding community for rare and interesting birds. Hummingbirds of many species migrate through every year. Cyclists. The Tour of the Gila bicycle race goes past our driveway two days each year. The Signal Peak Challenge mountain bike race is a few miles up the road and the Tommyknocker is also near. This is a great place to watch or participate in cycling. Dark Sky Watchers. If you turn out the lights and go outside, you can get a breathtaking view of the Milky Way and other heavenly sights. This is a great place for stargazing with or without a telescope. Herpers. We have unusual snakes, lizards, and frogs. It’s a paradise for herpetology enthusiasts. Continental Divide Trail Hikers. The CDT is visible from parts of Agave Ridge property if you know where to look. Our houses are an ideal place for hikers to rest in luxury for a few days before continuing their quest. Spiritual Seekers. The nature spirits are here. Our area in general and Agave Ridge in particular have been drawing seekers of all kinds for years. We’ve experienced miracles here ourselves and want to share the opportunity. So come for the exercise. Come for the birds or lizards. Come for the stars. Come to rest your body, revive your spirit, and reconnect to your soul at Agave Ridge Retreat! 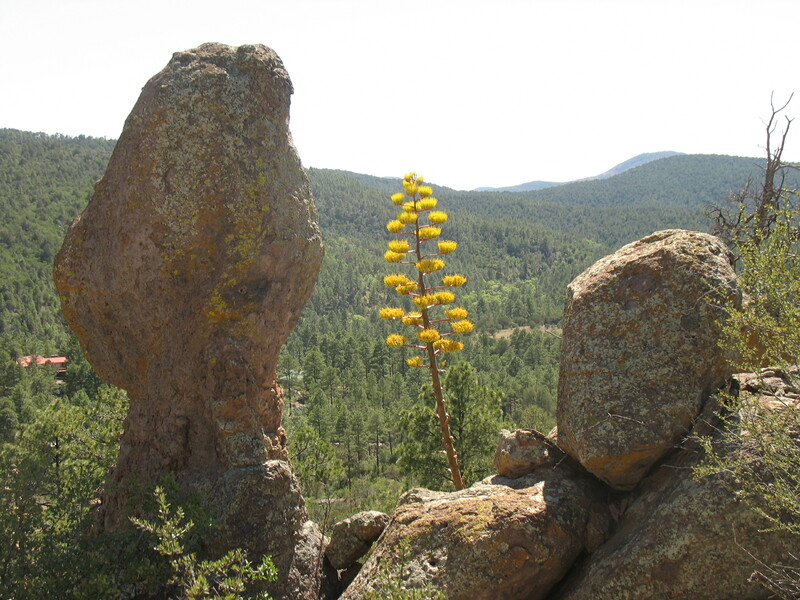 A magical place to retreat in the peaceful mountains near (but not too near) Silver City, New Mexico. Comfortable houses next to wildness. A great place to renew alone, with family, or with a group.